For many centuries Romania’s economy was based on agriculture. In the 1930s Romania was one of the main European producers of wheat, corn and meats and it used to be called “the bread basket of Europe.” In the 1950s Romania began developing its heavy industry. There has been a shift towards heavy industries since the 1970s but the agriculture is still economically important. Automobile, petrochemicals, cement and construction, aircraft, textiles, food and beverages, mining, consumer durables, tourism, metallurgical industries, arms industry are the leading industries in Romania. and one of the largest markets in Central and Eastern Europe are attributes that make Romania an increasingly attractive destination for investment. Real GDP growth is set to remain robust in 2014 and 2015. Annual average inflation is projected to moderate in 2014, reaching historical lows in the first half of 2014. Growth is set to remain robust at in 2014 and 2015. Despite robust growth, recovery of the labour market remains weak. Romania is one of the fastest-growing information technology markets in Central and Eastern Europe. The country has made significant progress in all of the information and communications technology (ICT) subsectors, including basic telephony, mobile telephony, the Internet and IT. The country’s telecoms sector has been deregulated, expanded and modernized over the past 15 years. Romania is the leader in Europe, and sixth in the world, in terms of the number of certified IT specialists. Romania has been successful in developing dynamic telecommunications, oil and gas and automobile sectors. Romanian-based companies such as Automobile Dacia, Petrom, Rompetrol and Bitdefender are well known. Dacia, the best ambassador of the Romanian economy, the main producer of automobiles in Romania, was founded in 1966. Renault currently holds 99.43% of the capital of Dacia. OMV Petrom S.A. is a Romanian oil company, the largest corporation in Romania and the largest gas and oil producer in Eastern Europe. With over 7.000 employees in 12 countries, The Rompetrol Group N.V. is one of the well-established oil companies operating in Romania and an important player in the Black Sea and Mediterranean basins. The group is primarily active in refining, marketing and trading, with additional operations in exploration and production, and other oil industry services such as drilling, EPCM and transportation. 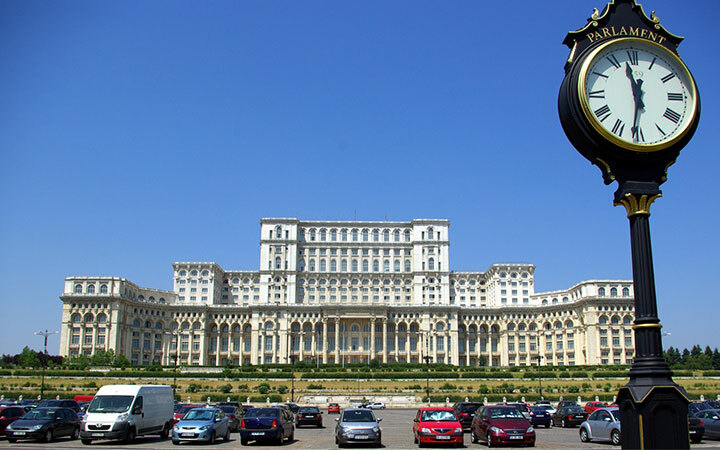 The University of Bucharest has been listed by the Center of World University Rankings in 2014.